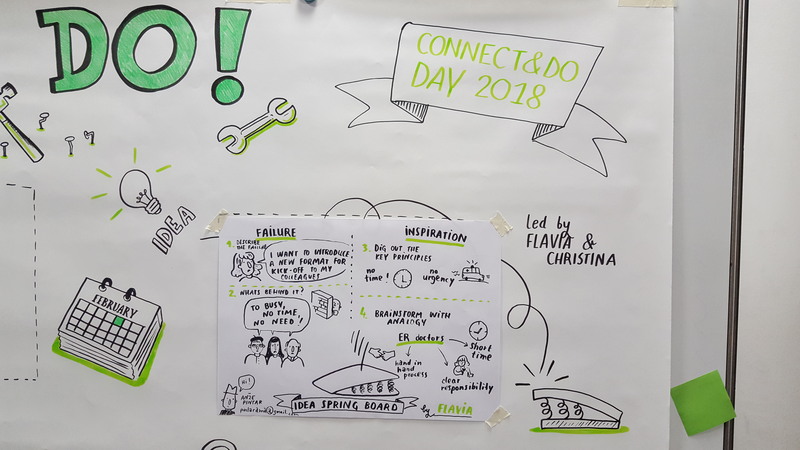 Connect&Do Day at the Hasso Plattner Institut! More than 80 very passionate and curious participants joined us at our annual alumni gathering to share their experiences on the topic Failing to Succeed. In the Hacking Jams the participants shared and learned tactics to bring Design Thinking into their own companies. It was truly inspiring to see how people who believe in the power of user-centered innovation and collaboration fight for bringing change and a new innovation culture into their companies. Chapeau for all the engery and enthusiams you are willing to spend. Annie Kerguenne opened the day with a very personal reflection on failing to succeed. 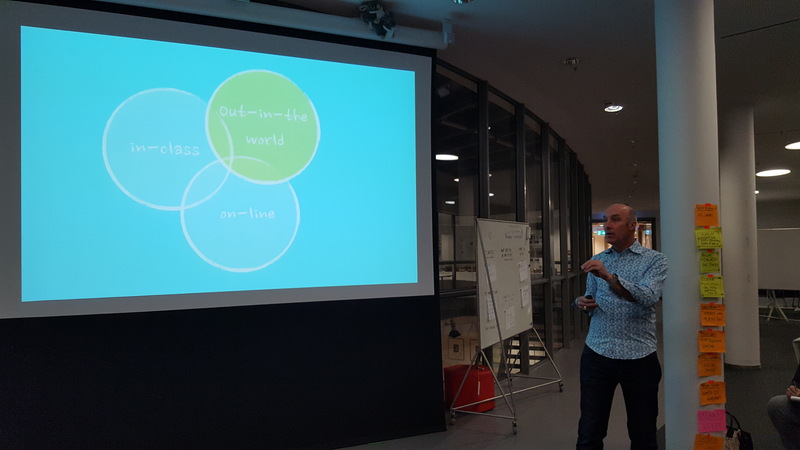 George Kembel (Design thinking Pioneer and Co-founder of Stanford d.school) gave a motivating talk about unleashing creativity at a global scale. Jonathan Edelman (Royal Colleage of Art) shared his perspectives on digitale transformation. 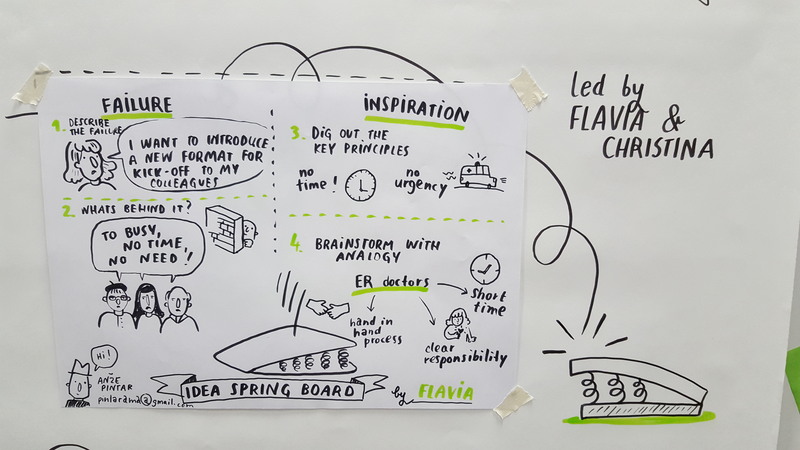 Together with my colleagues Annie Kerguenne and Christina Stansell I tested a newly developed tool on how to use Failures as Idea Springboards. Let´s be honest. Who loves to be inspired? Who loves to fail? Why not use failures as inspiration to learn and come up with better ideas? This is what we did. We enlightend the black box of failure and came up with an esay-to-use tool to turn failures into inspiration.